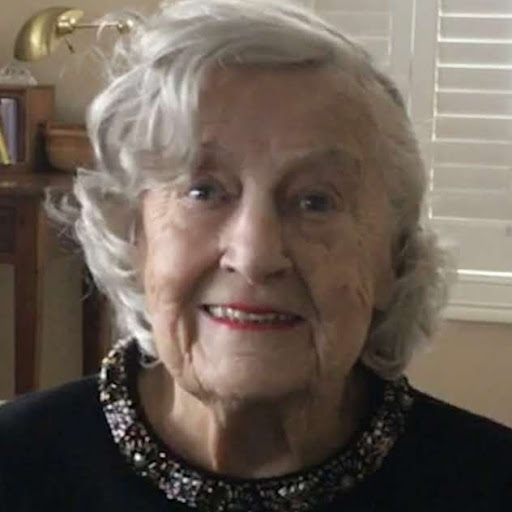 Obituary for Alice M. (Cooney) Connor | Nardolillo Funeral Home, Inc.
formerly of Garden City Drive, Cranston, and Isla Del Sol, St. Petersburg, Florida, passed away Thursday, February 7th at Brentwood by the Bay Assisted Living, Warwick. Born January 7, 1924, Alice was the daughter of the late Frank A. and Alice E. (Fitzpatrick) Cooney. She had two older brothers: Leo and John who she adored. Alice was happily married to the late Daniel J. Connor for 58 wonderful years. She was the loving Mom of Dan Connor, Deborah Connor and the late Cheryl Mahoney. Mother-in-Law of Mary-Ann Connor and Bob Mahoney. Proud Grandma of Erin Mahoney Weis and her husband, Michael Weis, Alison Connor and Caraline Connor. Alice always said she had a GREAT life! In particular Dan, her husband, was the love of her life. They did everything together and were each other’s biggest fans. Alice and Dan spent over 20 winters in Florida where they made great friends. Cocktail hours at the pool were lively and greatly enjoyed. They followed all kinds of sports particularly Baseball (Red Sox), Football (Patriots), Golf and Tennis. They loved to travel to US vacation destinations but mostly, they simply enjoyed being with their family. For over 20 years, Alice had a career that she loved. She was one of the first District Sales Managers for CVS /Pharmacy responsible for many CVS stores in Southeastern New England. She shared her passion for Retail and CVS with her daughters. Between the 3 of them, Alice, Cheryl and Deb delivered over 110 years of service to CVS/Pharmacy. Alice was very competitive and loved to win, especially tennis and raucous family card games. Her competitive spirit was such that rules were sometimes bent to ensure victory. In short, she was a pistol! During the last 16 months of her life she lived happily at Brentwood by the Bay in Warwick. Alice’s family is grateful for the loving care extended to Alice by Brentwood’s staff. Donations in Alice’s memory to the RI Food Bank would be appreciated. Funeral services will be private. Visit NardolilloFH.com for online condolences.